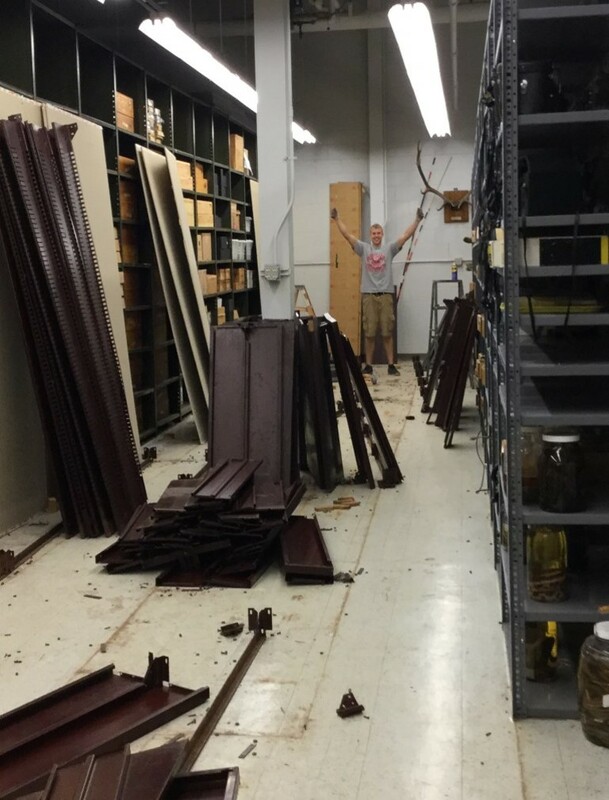 Interning this summer at The Ohio State University’s Museum of Biological Diversity has been an eye-opening experience that allowed me to take part in the day-to-day tasks that keep the museum up and running. I was lucky enough to work in the tetrapod division which contains some of my favorite animals such as birds and amphibians. My first project of the summer was scanning our entire specimen catalog so that we can access the information electronically. Although it was a little tedious to scan hundreds of pages, I was able to make all of that information easily accessible on the computer. This should help the collection be more efficient as well as help researchers who are using the museum’s specimens. 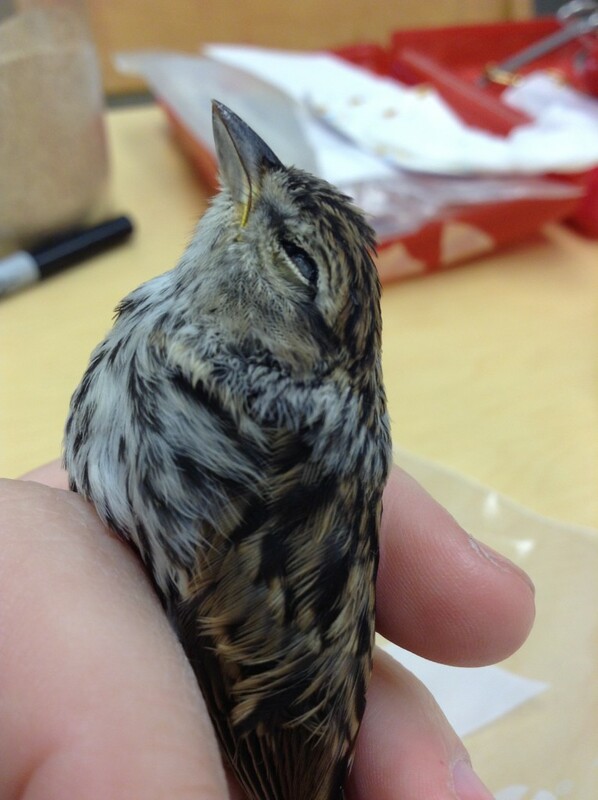 I also prepared multiple bird specimens during my internship including a couple of House Sparrows, American Robins, and an American Tree Sparrow. Prior to the internship I had only prepared one specimen, so I was able to learn some useful techniques that helped me improve my skills. It was a privilege to learn hands-on from an expert in the art of skinning. Another one of my duties this summer was georeferencing. I was responsible for determining the latitude and longitude of each specimen for a specific state. 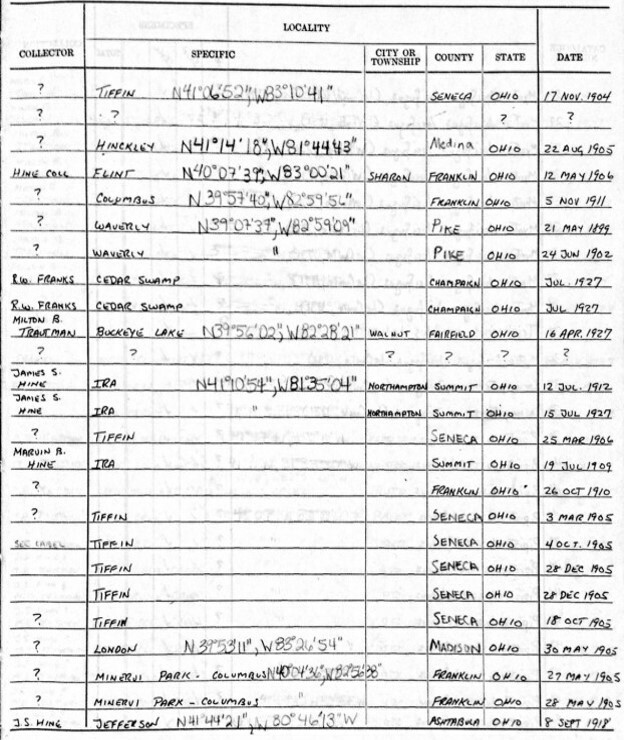 I did this by using the locality description that was provided by the collector of the specimen and a map program on the computer. Having a specific location for each specimen will be more helpful for researchers. 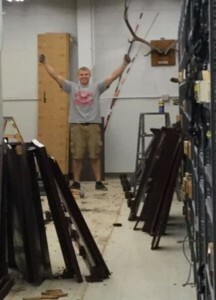 The final task of the summer was taking down the old shelving units that were rusting. This involved a lot of physically moving specimens around and trips to the loading dock. Getting rid of the rusty old shelving units cleared space for the new ones that match the rest of our collection. This job made the collection much cleaner and more ascetically pleasing. Overall I had a great experience here this summer, I learned a lot about all the ins and outs that keep a research museum functioning. I look forward to returning for an open house in the future. About the Author: Josh Elger was a Summer 2016 Intern for the Tetrapod Division. He is currently working on a B. S. from Ohio Dominican University. Posted by Stephanie Malinich at 7:00am September 1, 2016 Posted in Collections, Curation and tagged bird skinning, catalog, georeferencing, internship, tetrapods, undergraduate student. Bookmark the permalink.